In one of my clients environment, there are two Cisco 4510 running and HSRP has been configured. It has been discussed to upgrade it to VSS (Virtual Switching System) during last a couple of months. The main driven to get VSS is to have dual homed hosts run Etherchannel to connect to those two 4510R+E switches. Obviously converting the core switches to VSS (and having MEC - Multichassis EtherChannel - configured in dist/access switches) helps you to improve overall performance as both fabric will be active in VSS and traffic load-balanced. No more STP blocking port in the dist/access switches, while getting chassis-level redundancy. *Oct 22 13:49:30.890: %C4K_REDUNDANCY-2-IOS_VERSION_CHECK_FAIL: STANDBY:IOS version mismatch. Active supervisor version is 15.2(2)E6 (cat4500es8-UNIVERSALK9-M). Standby supervisor version is 15.2(2)E6 (cat4500es8-UNIVERSALK9-M). Redundancy feature may not work as expected. 1. VSS increases operational efficiency by simplifying the network, reducing switch management overhead by at least 50 percent. • Multichassis EtherChannel® (MEC) is a Layer 2 multipathing technology that creates simplified loop-free topologies, eliminating the dependency on Spanning Tree Protocol, which can still be activated to protect strictly against any user misconfiguration. • Flexible deployment options. The underlying physical switches do not have to be colocated. The two physical switches are connected with standard 10 Gigabit Ethernet interfaces and as such can be located any distance based on the distance limitation of the chosen 10 Gigabit Ethernet optics. 2. VSS boosts nonstop communications. • Interchassis stateful failover results in no disruption to applications that rely on network state information (for example, forwarding table info, NetFlow, Network Address Translation [NAT], authentication, and authorization). VSS eliminates L2/L3 protocol reconvergence if a virtual switch member fails, resulting in deterministic subsecond virtual switch recovery. • Utilizes EtherChannel (802.3ad or Port Aggregation Protocol (PAgP) for deterministic subsecond Layer 2 link recovery, removing the dependency on Spanning Tree Protocol for link recovery. The two chassis must have the same number of slots. However, +E and -E chassis can be mixed. All supervisor engines or systems in a VSS must match precisely. System image file is "bootflash:/cat4500es8-universalk9.SPA.03.03.01.XO.151-1.XO1.bin"
NAME: "Switch System", DESCR: "Cisco Systems, Inc. WS-C4510R+E 10 slot switch "
NAME: "Clock Module", DESCR: "Clock Module"
NAME: "Mux Buffer 1 ", DESCR: "Mux Buffers for Redundancy Logic"
NAME: "Mux Buffer 2 ", DESCR: "Mux Buffers for Redundancy Logic"
NAME: "Mux Buffer 3 ", DESCR: "Mux Buffers for Redundancy Logic"
NAME: "Mux Buffer 4 ", DESCR: "Mux Buffers for Redundancy Logic"
NAME: "Mux Buffer 7 ", DESCR: "Mux Buffers for Redundancy Logic"
NAME: "Mux Buffer 8 ", DESCR: "Mux Buffers for Redundancy Logic"
NAME: "Mux Buffer 9 ", DESCR: "Mux Buffers for Redundancy Logic"
NAME: "Mux Buffer 10 ", DESCR: "Mux Buffers for Redundancy Logic"
NAME: "Linecard(slot 1)", DESCR: "10/100/1000BaseT (RJ45) with 48 10/100/1000 BaseT  EEE ports"
NAME: "Linecard(slot 2)", DESCR: "10GE SFP+ with 12 SFP+ ports"
NAME: "Linecard(slot 3)", DESCR: "10/100/1000BaseT (RJ45)+V E Series with 48 10/100/1000 baseT Premium PoE ports (Cisco/IEEE)"
NAME: "Linecard(slot 4)", DESCR: "10/100/1000BaseT (RJ45) with 48 10/100/1000 baseT "
NAME: "Supervisor(slot 5)", DESCR: "Sup 8-E 10GE (SFP+), 1000BaseX (SFP) with 8 SFP+ Ports"
NAME: "Linecard(slot 7)", DESCR: "10/100/1000BaseT (RJ45) with 48 10/100/1000 baseT "
NAME: "Linecard(slot 8)", DESCR: "10GE SFP+ with 12 SFP+ ports"
NAME: "Linecard(slot 9)", DESCR: "10/100/1000BaseT (RJ45) with 48 10/100/1000 baseT "
NAME: "Linecard(slot 10)", DESCR: "10/100/1000BaseT (RJ45) with 48 10/100/1000 BaseT  EEE ports"
NAME: "FanTray 1", DESCR: "FanTray"
NAME: "Power Supply 1", DESCR: "Power Supply ( AC 6000W )"
NAME: "Power Supply 2", DESCR: "Power Supply ( AC 6000W )"
No Mountpoints DefinedOct 22 10:32:08 %IOSXE-3-PLATFORM: process sshd: error: Bind to port 22 on :: failed: Address already in use. Cisco IOS-XE software, Copyright (c) 2005-2015 by cisco Systems, Inc.
System image file is "bootflash:/cat4500es8-universal.SPA.03.06.06.E.152-2.E6.bin"
You are configuring VSL on interface Po2. There are member ports already attached to the port channel. Remove all member ports before configuring as VSL Port-Channel. WARNING: Interface TenGigabitEthernet2/5/7 placed in restricted config mode. All extraneous configs removed! WARNING: Interface TenGigabitEthernet2/5/8 placed in restricted config mode. All extraneous configs removed! *Oct 22 13:42:26.629: %C4K_IOSINTF-5-LMPHWSESSIONSTATE: Lmp HW session UP on slot 15 port 8. *Oct 22 13:42:26.647: %C4K_IOSINTF-5-LMPHWSESSIONSTATE: Lmp HW session UP on slot 15 port 7. *Oct 22 13:42:26.661: %C4K_IOSINTF-5-LMPHWSESSIONSTATE: Lmp HW session UP on slot 15 port 6. *Oct 22 13:42:26.681: %C4K_IOSINTF-5-LMPHWSESSIONSTATE: Lmp HW session UP on slot 15 port 5. *Oct 22 13:43:24.024: %C4K_REDUNDANCY-2-IOS_VERSION_CHECK_FAIL: STANDBY:IOS version mismatch. Active supervisor version is 15.2(2)E6 (cat4500es8-UNIVERSALK9-M). Standby supervisor version is 15.2(2)E6 (cat4500es8-UNIVERSALK9-M). Redundancy feature may not work as expected. *Oct 22 13:43:24.024: %C4K_REDUNDANCY-2-NON_SYMMETRICAL_REDUNDANT_SYSTEM: STANDBY:STANDBY supervisor will operate in fallback redundancy mode rpr. *Oct 22 13:43:29.230: %SYS-5-RELOAD: STANDBY:Reload requested by Platform redundancy manager. Reload Reason: Virtual-switch fallback to RPR. mmc0: Got command interrupt 0x00030000 even though no command operation was in progress. Oct 22 13:45:23 %IOSXE-3-PLATFORM: process kernel: mmc0: Got command interrupt 0x00030000 even though no command operation was in progress. *Oct 22 13:48:34.535: %C4K_IOSINTF-5-LMPHWSESSIONSTATE: Lmp HW session UP on slot 15 port 5. *Oct 22 13:48:34.569: %C4K_IOSINTF-5-LMPHWSESSIONSTATE: Lmp HW session UP on slot 15 port 8. *Oct 22 13:48:34.582: %C4K_IOSINTF-5-LMPHWSESSIONSTATE: Lmp HW session UP on slot 15 port 7. *Oct 22 13:48:34.596: %C4K_IOSINTF-5-LMPHWSESSIONSTATE: Lmp HW session UP on slot 15 port 6. *Oct 22 13:49:30.890: %C4K_REDUNDANCY-2-NON_SYMMETRICAL_REDUNDANT_SYSTEM: STANDBY:STANDBY supervisor will operate in fallback redundancy mode rpr. *Oct 22 13:49:35.713: %SYS-5-RELOAD: STANDBY:Reload requested by Platform redundancy manager. Reload Reason: Virtual-switch fallback to RPR. Here are some solutions I found online although it is not my case. The issue was that the standby sup had two images -- a K9 image and a non-K9 image -- while the active sup just had the K9 image. The config register was 0x2101, which told the switch to boot the first IOS in bootflash/slavebootflash. So when the switch was booting up, the active sup was using the only IOS in the bootflash (the K9 image) while the standby sup was using the first identified IOS in the slavebootflash (non-K9). As a result, there were differnet IOSs running in each. Switch# sh log*Sep 2 14:52:05.490 UTC: %C4K_REDUNDANCY-2-IOS_VERSION_CHECK_FAIL: IOS version mismatch. Active supervisor version is 15.0(1)XO1 (cat4500e-UNIVERSALK9-M). Standby supervisor version is 15.0(1)XO1 (cat4500e-UNIVERSAL-M). Redundancy feature may not work as expected. Found another similar support topic at Cisco support community. It has same error message as I have on standby switch CSW002. Here are solution suggested by Tarun Vyas. 5. Standby switch will be reloading for IOS upgrade in standby device. we will verify current IOS in peer switch with show module command6. Now master device will be reloaded for IOS upgrade. 7. After primary device come up will verify IOS in both of device. My case is similar as both but not exactly same. First thing, both our switches are using same IOS. I am pretty much sure about it. 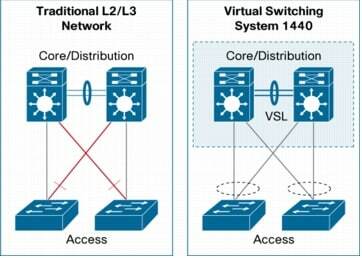 What we found is the legacy configuration in both switches has interference the vss process. Also most important part, cold start both switches. Once we have cleared the configuration and reconfigured it to VSS , it worked after cold re-started both switches. After that, we copied the configuration one by one in. WARNING: Interface TenGigabitEthernet5/5 placed in restricted config mode. All extraneous configs removed! WARNING: Interface TenGigabitEthernet5/6 placed in restricted config mode. All extraneous configs removed! WARNING: Interface TenGigabitEthernet5/7 placed in restricted config mode. All extraneous configs removed! WARNING: Interface TenGigabitEthernet5/8 placed in restricted config mode. All extraneous configs removed! by a different version of the system image. Copyright (c) 1986-2017 by Cisco Systems, Inc.